This volume of the International Congress Series (1261) contains mainly 3-page manuscripts of the 239 poster and 58 oral presentations from the 20th International ISFG Congress, Arcachon, France, 9–13 September 2003. 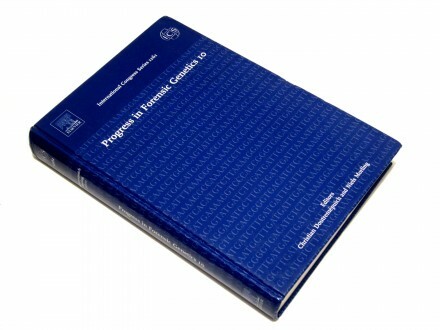 It stands in the long tradition of ISFG congresses that are followed by such collections of manuscripts (formerly titled “Advances in Haemogenetics”) and provides an overview of the most recent developments in the active field of forensic genetics: e.g., new technologies such as SNP typing, mass disaster victim identification, mtDNA and Y-chromosomal analysis. For all attendees of the congress this book is a valuable addition to the collected Abstracts; and all those who were not able to attend will profit from the high scientific level of the manuscripts.